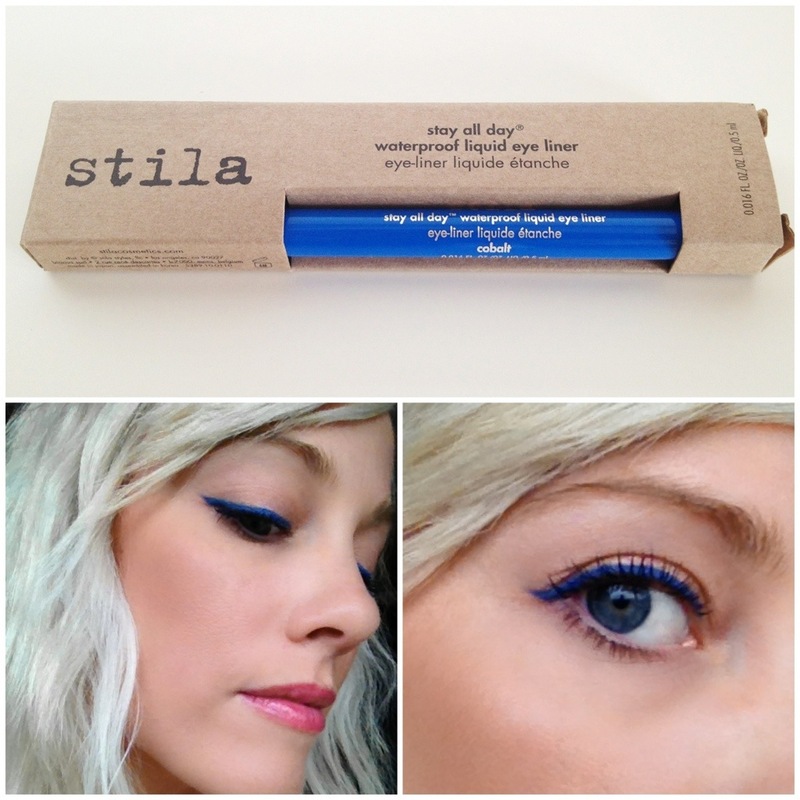 This is Stila’s newest Stay All Day liquid eyeliner. It’s a felt tip liner that is really easy to use and the formula doesn’t run or smudge! It comes in 6 other shades as well. This shade is called “Cobalt” ($21) and you can find it online at Stila.com or at your local Sephora store. You can wear it with fun colorful eyeshadows, you can pair it with a bright red lipstick, or you can wear it with a neutral eyeshadow and let it stand alone as a bright pop of color! Nice! i like the fact that its plain blue..and not metallic or glittery!